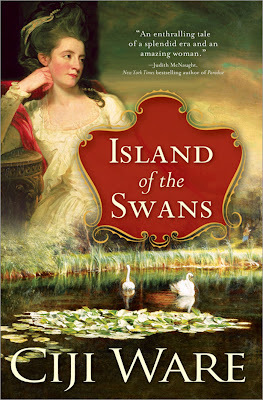 Ciji Ware Interview, author of Island of the Swans, brand new release February 1, 2010. 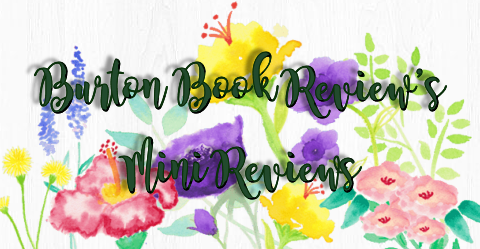 See my Review! 1.Ciji, your book Island of the Swans was a wonderful treat for me to read. It is about Jane Maxwell, the 4th Duchess of Gordon. What propelled you on the journey of first writing her story, twenty years ago? 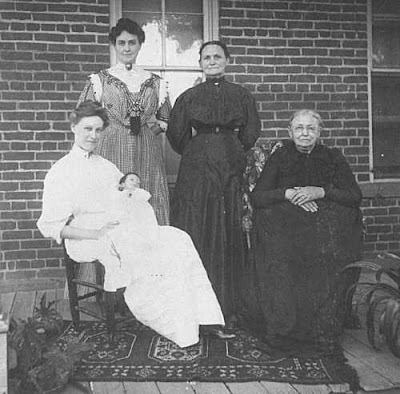 I come from a long line of “Uppity Women” of Scottish-American descent, and my great-grandmother, Elfie McCullough--the tall, statuesque woman second on the left in this picture of five generations of McCullough women (my mother is the babe-in-arms)--lived to be 94. 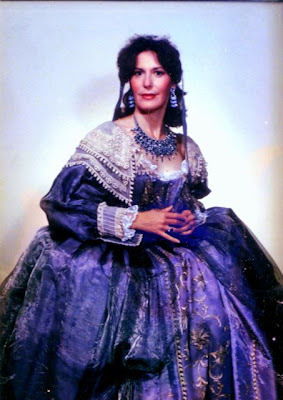 Until her death when I was fifteen-years-old, she and my Great Aunt Marge filled my head with exciting family lore, and claimed that we were descended from the famous (some say infamous) Jane Maxwell, the 4th Duchess of Gordon. Years later I ran across a short monograph detailing the tumultuous life of “The Match-Making Duchess” and immediately felt a burning desire to learn everything I could about this eighteenth century “Woman of Fashion” who was the confidante of kings, in love with two men for more than thirty years, the rival of Georgiana, the Duchess of Devonshire, the patroness (and suspected paramour) of the poet Robert Burns--and connected through her five daughters’ dynastic marriages to three dukes, a marquis and a baronet. 2.When you learned that this book would be reissued, what were the first thoughts running through your mind? I was ecstatic when I learned through my agent that Sourcebooks’ historical novel imprint, Landmark, was interested in purchasing all my backlist for reissue, along with a new historical I had recently completed. I was particularly happy that Island of the Swans—first published twenty years ago in 1989—was going to find a new generation of readers and be published in this beautiful trade paperback format with an exquisite cover. 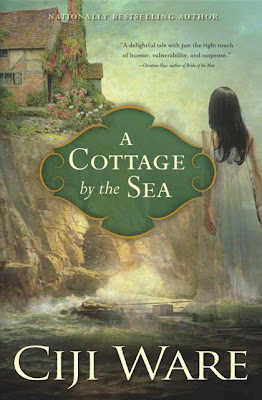 I had always loved Daphne du Maurier and Anya Seton’s works and thought of my books as written in that tradition—in other words, as historical novels, not romances, though there is always a strong love story threaded through everything I’ve written. When I saw the draft cover for Swans utilizing the Romney portrait of the Duchess that hangs this very day in the Scottish National Portrait Gallery, I literally burst out crying, feeling that my new publishers “got” what I had been trying to do as a writer from the first day I started to create this novel—my first. 3.Do you feel as close to your main characters in the book as you did twenty years ago? How has your relationship with Jane Maxwell, Alex Gordon and Thomas Fraser changed after twenty years? What a great question! I lived with these characters for the five years it took me to research and write this book (1983-1988), and even used to give lectures about the book and the real-life historical figures of Jane, Alex, and Lt. Fraser dressed in full “Duchess Regalia!” When I read the Swans in 2009 in preparation to restore some 100 pages a previous publisher of a second edition had taken out, I was amazed (says she modestly…) how immediately caught up I became in the twists and turns of their true-life saga! I love Jane Maxwell for her courage, for her amazing accomplishments during an era when women were frowned upon for participating in the “public sphere,” and for her struggles to cope with being forced to marry a man she learned to admire—Alexander, the 4th Duke of Gordon. I felt her anguish that in letters I discovered that proved she could never put aside the love and devotion she bore for her childhood love, a man I believed to be Thomas Fraser of Struy. 4.The novel is based on real historical figures. Have you learned any new information regarding these characters since its first publication in 1989? 5.I loved learning about Jane's independent spirit. What are some of the qualities of Jane that you admire? Do you think your portrayal of Jane is a close characterization of her? I think I portrayed her as close to reality as a writer could while still remembering to be a “storyteller”—which is the first duty of historical novelists in my view. The issue with Jane Maxwell was that she was the subject of a great deal of backbiting and public tittle-tattle due to her unorthodox habit of participating in the politics and policies of the day. 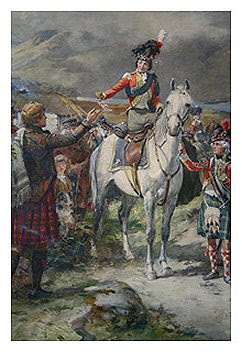 The image above is a painting of her recruiting to enlist her fellow countrymen in The Gordon Highlanders regiment—an activity thought to be “forward” and “unladylike.” There were even political cartoons by Whig sympathizers disparaging her character as an ambitious mama, and having multiple lovers, a fact the record simply doesn’t support. I felt it was partly my duty to set the record straight, and I did this by reading correspondence and documents that had not been taken from the shelves of Scottish and English libraries in more than one hundred years! So I’m never surprised to hear from critics who either think I unfairly portrayed her “warts and all,” or from those who don’t believe I properly castigated this “uppity female” for being a woman who wanted to chart her own course in life, regardless of the men in her life or the mores of her day. 6. What are your favorite traits of your main characters, either fictitious or real? I think what I most admire about Jane, Alex, and Thomas was their courage and steadfastness throughout three decades of tumultuous world events and private upheavals and tragedy. 7. Do you feel that Jane Maxwell and Thomas Fraser were lovers in reality? In all the accounts of Jane’s love affair with her childhood sweetheart—with many relevant documents most likely destroyed by her family or disposed of after her death—the name of her life-long love could never be pinned down with total certainty. 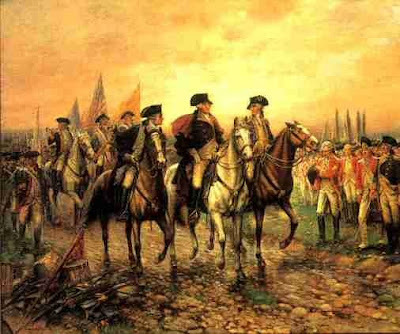 That there was such a person who fought in the Black Watch regiment in America during the French and Indian War and who later joined the 78th Fraser Highlanders (depicted in picture, left) to fight in the American War of Independence, there is little doubt. I combed the records of the Fraser Highlanders and picked out Lt. Thomas Fraser whose biography matched up with the dates, regiments, events, and associations between the Frasers of Struy, Simon Lovat of Fraser, and their rivals, the Dukes of Gordons—all hailing from the Scottish Highlands region. Luckily, I’m a novelist, not a biographer, so I get to make those choices and my choice was Lt. Thomas Fraser of Struy. 8. The novel takes place primarily in Scotland, with the social season also set in London. Yet, your love of Scotland shines through with your vivid descriptions. What is your personal connection to Scotland? 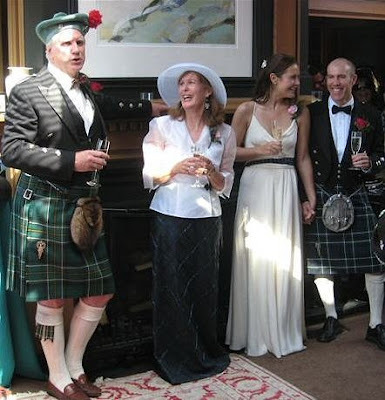 As I mentioned, I come from a Scottish-American background, as you can guess from this picture in June 2009 at my son and now daughter-in-law’s engagement party. Spending all those years researching for Swans deeply connected me to my Scottish roots. Additionally, it turns out that my husband of 33 years, Tony Cook, is also of Scottish-American derivation. We learned long after we were married that his family name had been MacCook and that we shared several other Scottish names in our family tree: Bell, Alexander, McAllister, Hunter and Forester. We have loved being part of this “community” and for a while we were members of the MacLeod Scottish Country Dancers! I mean, talk about living your research…. 9.Island of The Swans is filled with historical details that made it quite an interesting treat for the historically enthused readers like me! Your later works seem to be more leaning towards the romance genre and the self help non-fiction genre. Why were you not inspired to write another historically rich novel? I’m not surprised that you may not know about my second historical novel Wicked Company, (Marie has it on her shelf now!) also set in Scotland and England about a group of “uppity” eighteenth century women playwrights whose works were produced—as in real life—at Covent Garden and Drury Lane theatres! I was changing publishers right at the time the first edition of Wicked was published and the book was given short shrift when it came out as a result. I actually am tremendously proud of this historical novel and believe it’s among my best work. I am thrilled that this “orphan” has found a new home with Sourcebooks/Landmark and will appear on their Fall, 2010 list! What I find so fascinating is the way books are truly categorized by their covers. My other novels are as richly researched and steeped in history—even the dual story historical/contemporary titles like A Cottage by the Sea, Midnight on Julia Street, and A Light on the Veranda—but they were saddled with some God-awful covers during the period where every book was thought to have a better place in the marketplace if it was “genre-ized” by emphasizing the romance more than the history. Daphne du Maurier’s Rebecca or Frenchman’s Creek would be thought to be pure romances if she’d had the covers I was given back in the eighties and nineties! Bless Sourcebooks/Landmark for creating covers that match the contents of my historicals! 10.I want to read more of your fiction! What other books of yours do you think I would love? 11.What are your future writing goals? 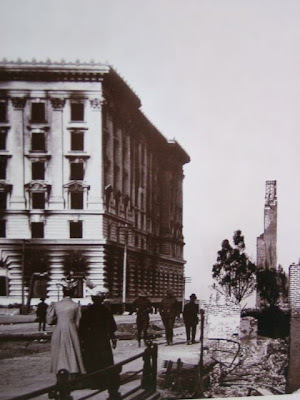 I’ve just put the finishing touches on the first historical novel I’ve written in a decade called A Race to Splendor about a group of women architects who, amazingly enough for 1906, received the assignment of restoring the legendary Fairmont Hotel atop Nob Hill following the devastating San Francisco earthquake and fire that left some 250,000 citizens of the city homeless for up to two years. In the light of the terrible events in Haiti, this book has amazing relevance, I think, to our own lives here in America where earthquakes, tornados, hurricanes and other natural disasters test our character and our ability to maintain the veneer of a civilized society while the rebuilding takes place. My husband and I moved to San Francisco eleven years ago and ended up living in a building designed and built by Julia Morgan, the first licensed woman architect in California who’s main claim to fame was as the designer of the magical Hearst Castle here in California. As with the Duchess of Gordon, I became obsessed by her story of overcoming every obstacle imaginable to forge a career in the all-male realm of designing and constructing buildings! Morgan, through a series of absolute flukes, received the commission to rebuild the Fairmont following the April 18th quake and subsequent firestorm. Sourcebooks/Landmarks is bringing out this new historical of mine to mark the 104th anniversary in April, 2011, and you can’t imagine how thrilled and excited I am about this. As for my future work: I have a parallel career in nonfiction (Rightsizing Your Life: Simplifying Your Surroundings While Keeping What Matters Most came out in 2007) and I do a lot of public speaking and writing about the subject of living more simply, which remains relevant, given the current economic downturn. As for fiction: I’m now noodling about a couple of historical projects: one dealing with the eighteenth century world of Fine Bone China, another about an eighteenth century woman court painter, and yet another idea about some little-known but totally fearless nineteenth century suffragettes in the Wild West! As always, I want to keep asking the question: “What were the women doing in history!” A famous woman academic, Gerda Lerner, once wrote (and I’m paraphrasing) “Half of human history has yet to be written because the lives of women weren’t properly chronicled by historians; and the half of human history that has been written is woefully inaccurate because the lives of women weren’t properly chronicled.” In historical fiction, at least, I’m doing my very small part to try to rectify that. 13. Can you give us a selection of your favorite authors? Well, I’ve already mentioned my favorites, Daphne du Maurier and Anya Seton, but I love Jane Austen, of course, along with Rosamund Pilcher, and a new novelist I’ve discovered who writes Regency mysteries, Tasha Alexander. I also love Jacqueline Winspear’s Maisie Dobbs series set in the early 20th century, and of course, I love the Sourcebooks/Landmark’s reissuing of the Georgette Heyer legacy. I have to read a lot of nonfiction for the work I do in that genre, so there is no greater pleasure in life, as far as I’m concerned, than to curl up with a juicy historical that sweeps me out of my ordinary day and into the past. I am so grateful that this genre appears to be experiencing a marked resurgence of reader interest! Ciji, I thank you so much for your time!! This was a fabulous interview experience for me! Re-issued in its original full length, this acclaimed and bestselling romantic historical novel by award-winning author Ciji Ware tells the true story of passionate and flamboyant Jane Maxwell, the 4th Duchess of Gordon (1749-1812). In love since childhood with Thomas Fraser, when she hears that he's been killed in America, she marries the Duke of Gordon with disastrous results. But Fraser, very much alive, returns to England to claim her love. In addition to telling a heart-wrenching love story, Island of the Swans also paints a fascinating portrait of a powerful and controversial woman and the tumultuous era in which she lived. Patroness of poet Robert Burns, advisor to King George, painted by Sir Joshua Reynolds, Jane Maxwell was a towering figure in her own time and is an unforgettable heroine. About the Author: Ciji Ware has been an Emmy-award winning television producer, reporter, writer, and radio host. 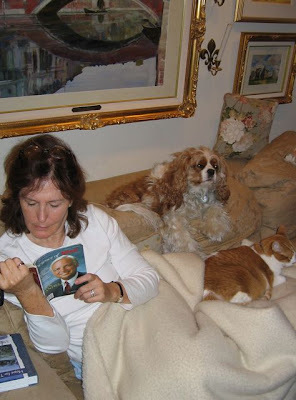 A Harvard graduate, she has written numerous historical and romance novels as well as non-fiction. 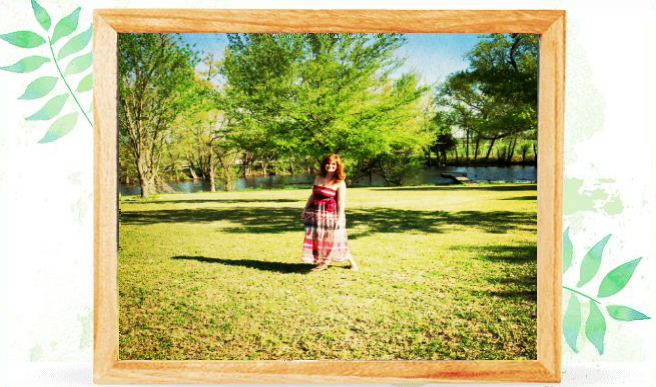 When she's not writing, Ciji is a Scottish history and dancing aficionado. She lives with her husband in California. Giveaway Fun!! 2 winners of ISLAND OF THE SWANS! USA & Canada, no PO Boxes. Comment here with your Email Address.. and you are entered! If you want extra entries, then follow this blog +1 (current followers will get this if you let me know) or post about this Giveaway with a Graphic link on your Blog's Sidebar for +2 entries. Good luck, and thanks for visiting with Ciji! 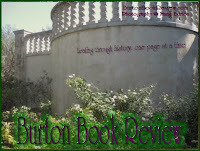 See my Review! The Sunday Salon~ Have you entered yet? 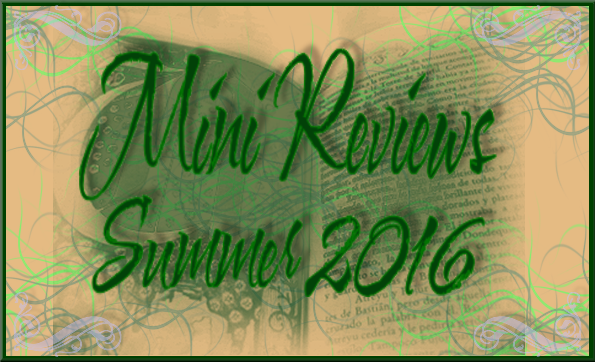 Mailbox Monday~ mixing it up! Meeting Roses author Leila Meacham!